Apple butter always seemed like such a mystery. I wondered how it was made and what ingredients it required, but I never suspected that the answer would be so simple. A quick Internet search told me that apple butter is nothing more than reduced applesauce. I tested that theory, and the Internet turned out to be right! 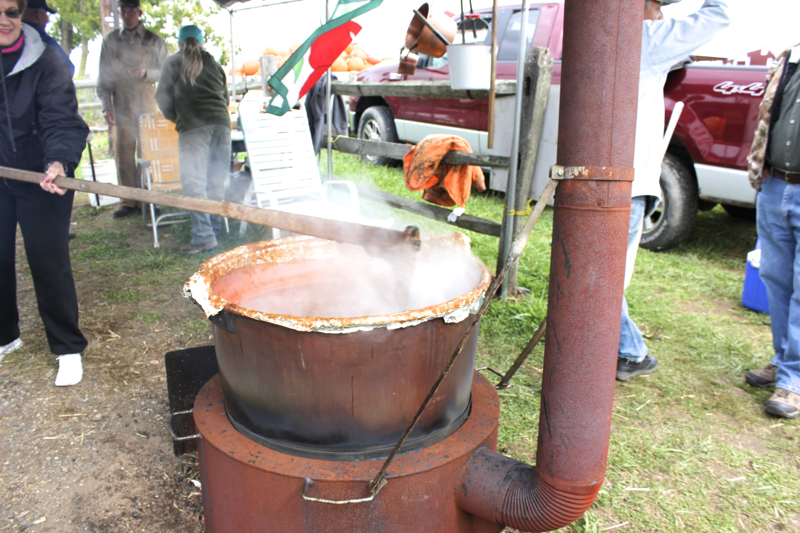 Unlike the apple butter I saw being made at the orchard, an outdoor chimney, gigantic pot, and industrial stirrer were not required. Applesauce, a pot, and a spatula were the only equipment I needed. To make your own apple butter, put some applesauce in a small pot (add about twice the volume of apple butter you hope to end up with). I used some of the applesauce I recently made, but I see no reason why store-bought applesauce would not work just as well. 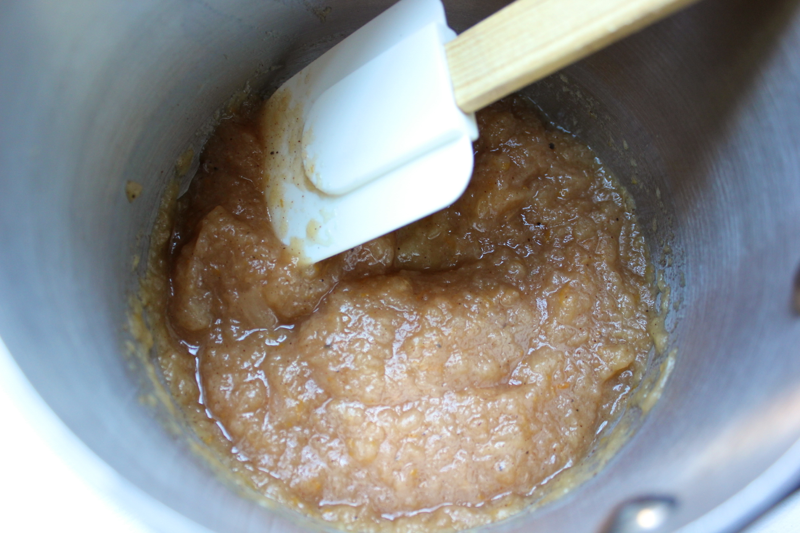 Bring the applesauce to a simmer, and stir it around with a spatula every few minutes to make sure it doesn’t burn. I watched TV and stirred the applesauce during the commercials. 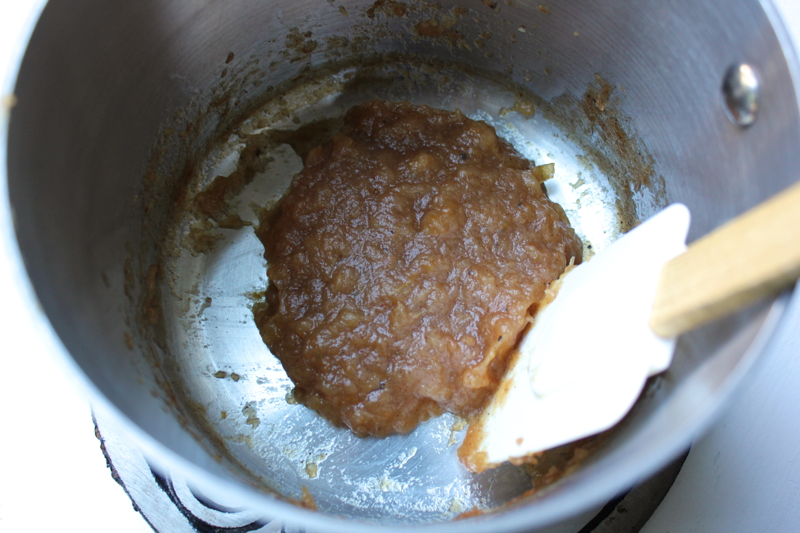 As the applesauce simmers, it will reduce and thicken. When the applesauce stops bubbling, it means that most of the water has cooked out of the applesauce and that it cannot reduce any further. At this point, the applesauce should have reduced by half and is ready to be spread wherever you like it. So simple! 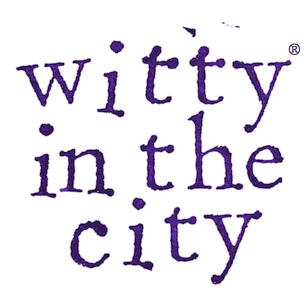 I like mine on a toasted slice of cranberry walnut bread. 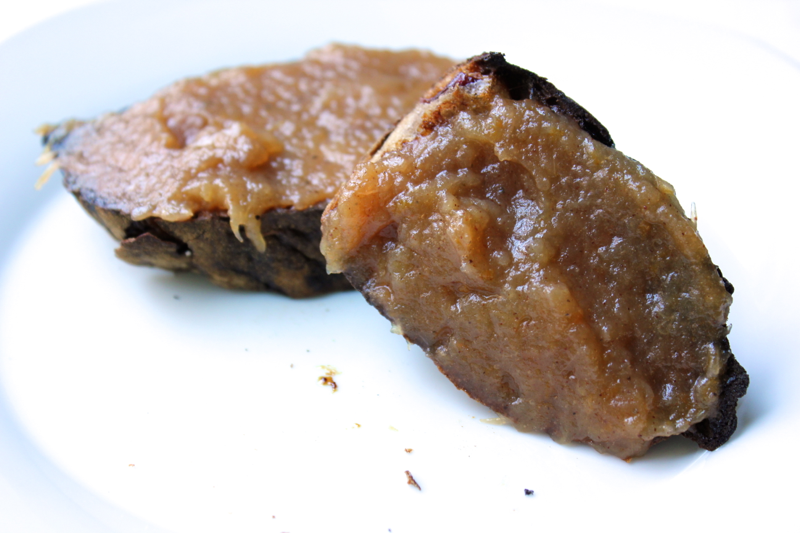 Transfer the apple butter to a container and store it in the fridge. And enjoy the wonderful smell of warm apples for the rest of the day!